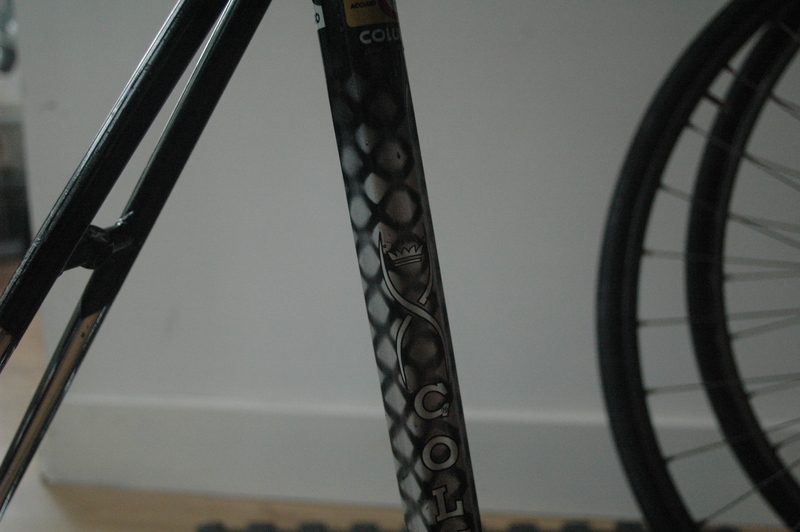 I bought this from a Gentleman who was the chair of an amateur cycling club, so I guess it’s an ex-pro frame given the number tag under the top tube. 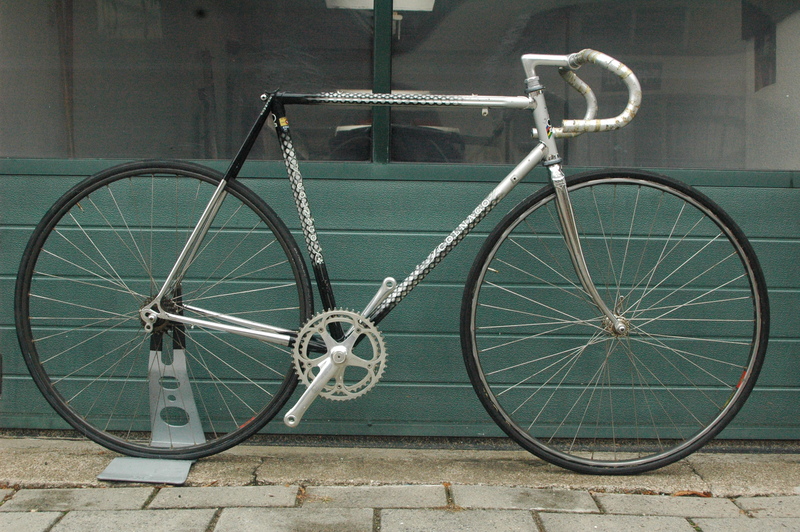 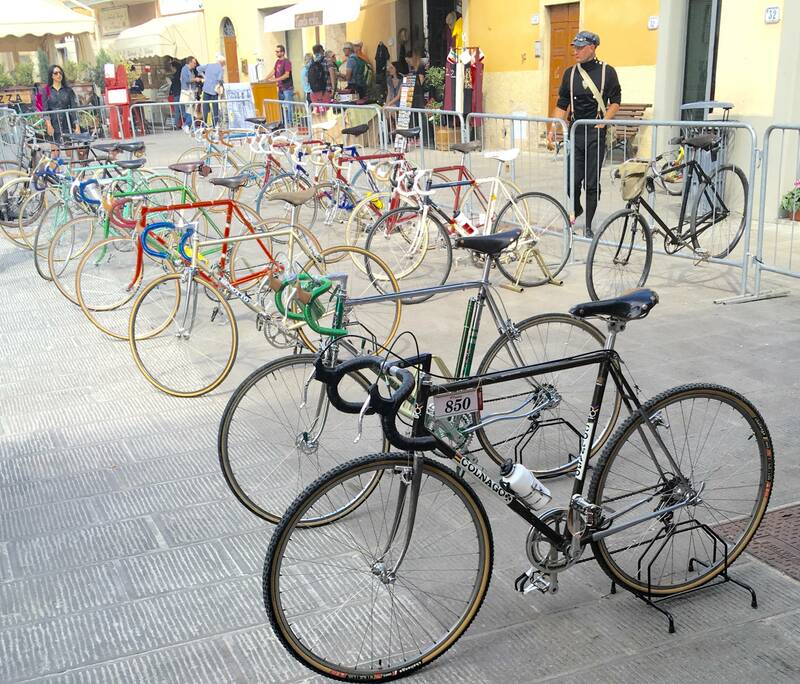 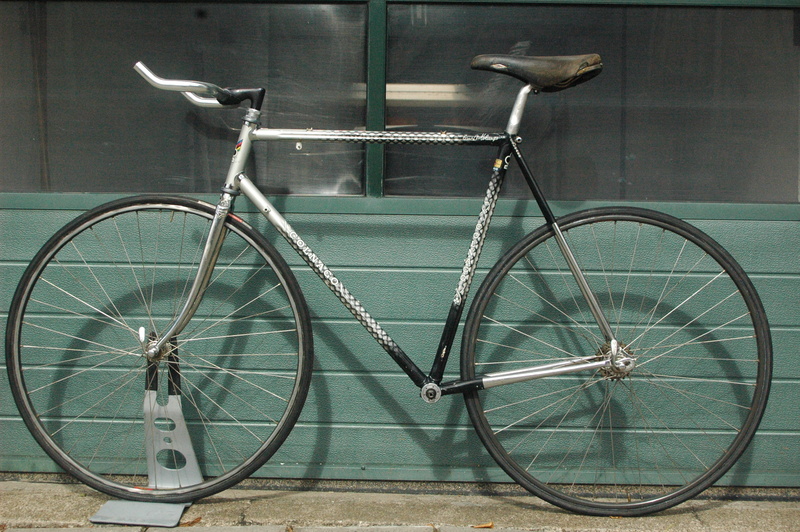 I will add a 1988 Campagnolo Chorus gruppo I took from a donor bike, that is aged, so will complement the frame. 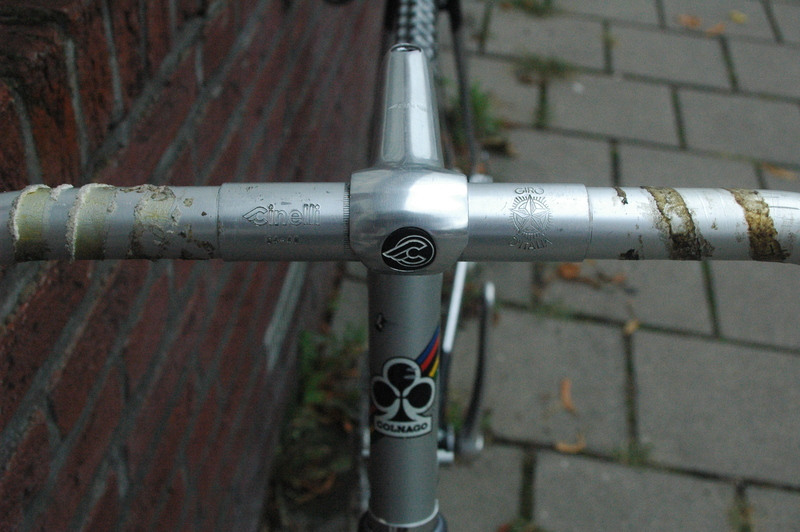 but I don’t really like the look aesthetically,so I’ll use Cinelli stem and Cinelli Giro drop bars. 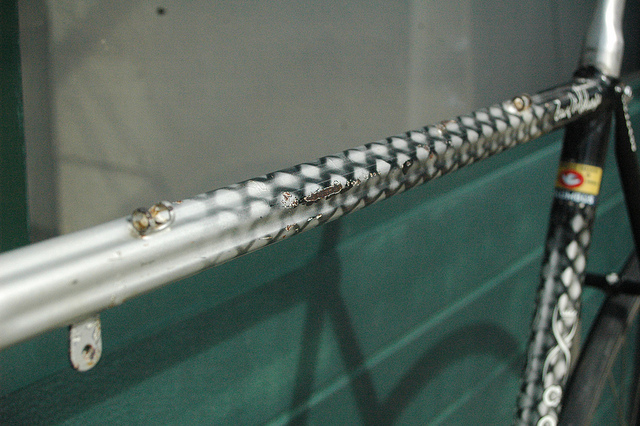 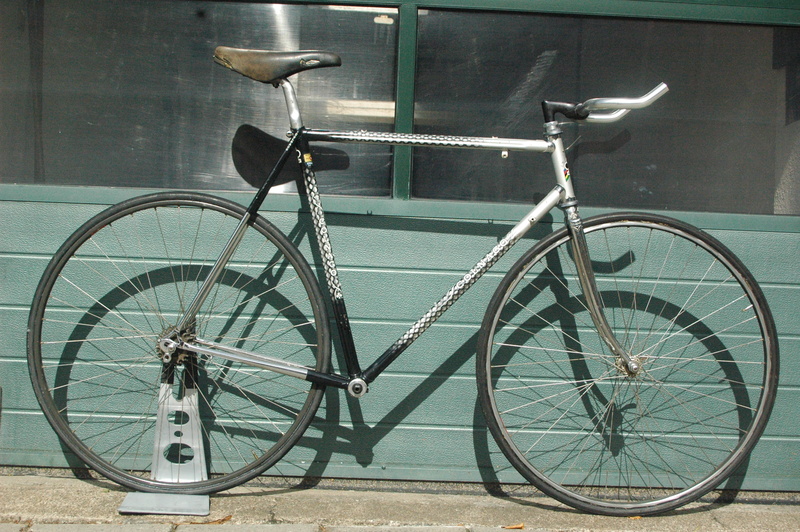 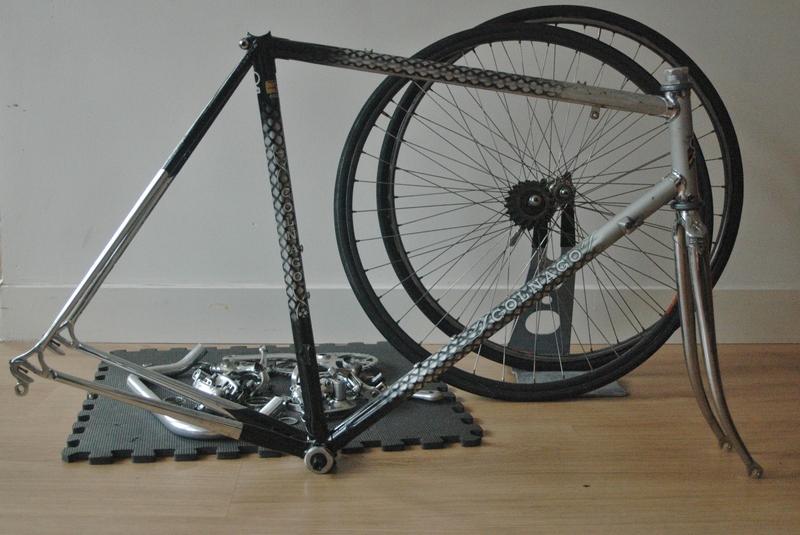 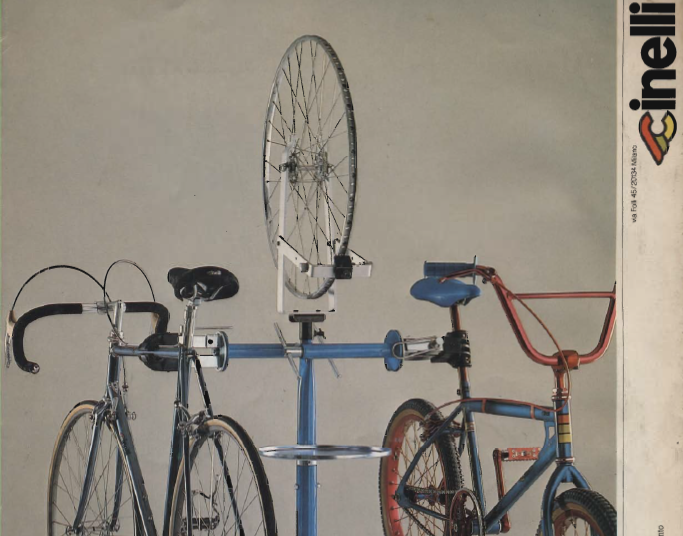 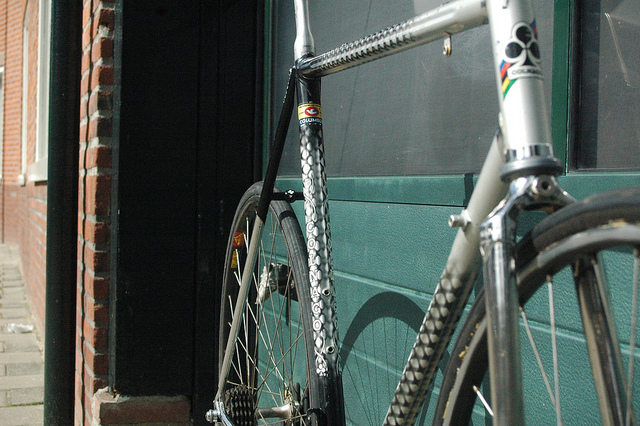 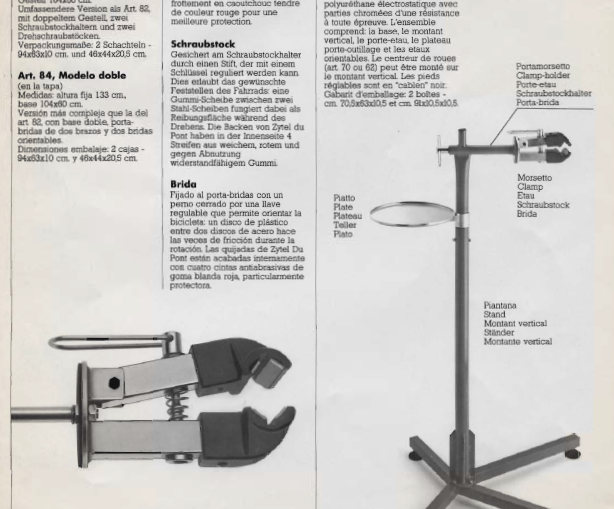 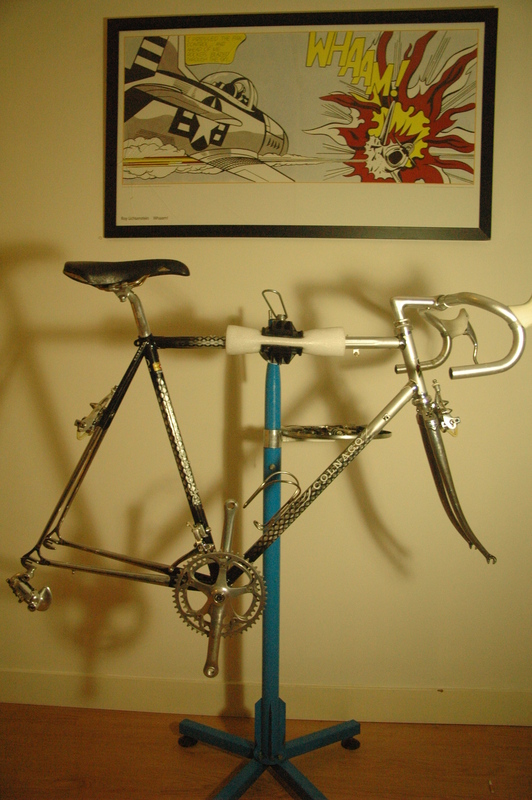 oh, and on a 1988 Cinelli bike stand….